tribute to Evans began showing up shortly after the pianist’s death. Even artists who were far removed from his musical values – adherence to acoustic instruments, old popular songs, and chord-based improvisations – joined in to venerate the departed keyboard icon. The idea of recording the music of Bill Evans, multiple versions of which have already been released and surely heard, isn’t a new one, yet the harmonic language and continuity of this music can be elusive, requiring an artist of rare gift to play it “from within” at the same time as negotiating its finger-knotting intricacies. Eliane Elias is such an artist. She has intellect and imagination in perfect balance, a fabulous touch, great rhythmic élan, an improvisatory zeal, and swings like few others. She also has a new CD that brings Evans’s music vividly to life: Something for You: Eliane Elias Sings and Plays Bill Evans. For this recording Elias combines fine harmonic sensibility with emotional subtlety to produce fresh reinterpretations of familiar songs as well as one cogently personal original. Her constantly inquiring mind and love for the musical philosophy of Bill Evans, allied to her ability to extract a beautiful and personal sound from the piano, provides listeners with an opportunity to reinvestigate Evans and to think anew about this music, as much through the mind of a poet-philosopher as that of a pianist, to get inside the head of Evans in his diverse moods. Central to the formulation of this CD are two ideas that come together. One is the trio concept that was touched off by Oscar Peterson and exploded by Bill Evans. The other is an awareness of the way Evans continually moved forward at the same rate as he reached back for groundbreaking ideas, his pianistic thinking often running contrary to the jazz trends of the day. With bass player Marc Johnson, a member of the final Evans trio, and drummer Joey Baron, who tailors his phrasing to answer and propel soloists, poetry and virtuosity are held in perfect poise. These are musicians who listen and respond by taking wing into areas of mind and imagination. It might have seemed that Chick Corea, Keith Jarrett, and others had exhausted the possibilities suggested by Bill Evans, but Elias, Johnson, and Baron are perfect companions for a venture into this music. Indeed, the sprit of Bill Evans is everywhere. On the whole collection, there are simply no stretches of playing where the musicians are vamping in wait for something to happen, never a feeling that one member of the trio is off on a musical quest of his own. It is a genuine trio affair: the arrangements involve the whole ensemble; Johnson and Baron are fully in sympathy with Elias’s idiosyncratic vision of Bill Evans. The trio chemistry is extraordinary and the depth of interpretation always surprising, no matter how many times you play these selections. In this context, Elias’s singing is helped by that rare empathy that exists among consummate musicians who obviously love the chosen material. What impresses most is their devotion to the material at hand. Every tune has some moment of illumination immediately conveyed. Above all, this disc is a celebration of sonority. Elias’s pianistic and musical attributes make her uncannily receptive and responsive to Evans’s ideas, an inspiration reciprocated, for Evans’s ideas provide the perfect backdrop for her harmonic sense. Opening her program with an up-tempo account of “You and the Night and the Music,” Elias echoes the imagination and excitement that Evans combined so effortlessly at his peak, the plasticity of phrasing, the supple ease of note placement, and the variety of note choices. Johnson’s brief solo, extremely alert and sensitive, has a subtle development, while Baron, using points of punctuation, offsets the soloist in a most provocative light. The CD’s title track, “Here Is Something for You,” was developed (as was the concept for the entire CD) from previously unissued material that Johnson found on a cassette Evans had given him and makes this CD especially valuable. Elias, accompanying herself, seems to be singing as much to herself as to the listener. She has a small voice and a relatively rudimentary vocal technique, still she sensibly relies on art, not artifice, for her interpretation. The way she interlocks with Johnson on the drummerless “A Sleepin’ Bee” is sensitive and free-spirited. Indeed, the hand-in-glove interaction is a classic example of a formidable paring. George Gershwin’s “But Not for Me” shows Elias knows just when to pull back and let the melody speak for itself, and when to push out into some spirited solo work. “Waltz for Debby,” a tune Evans wrote in the early fifties, is familiar to his fans the world over and perhaps his most famous piece. On this portrait of Evans’s young niece, Baron emerges as an imaginative, sensitive painter of rhythmic sound, his brush work exciting some sparkling interplay among a trio that displays an underlying sense of calm joy and a vitality of line that hums with imaginative life. The theme of Evans’s “Five” is a study in staggered time in the manner of Thelonious Monk. Though Elias does not deliver it in the staccato fashion that Monk would have used, she conveys a definite personality of her own. The harmonic underpinning strongly suggests Gershwin’s “I Got Rhythm,” a tune that has supplied the framework for more than its fair share of jazz “originals.” Johnson gets most of the solo space here, closely followed by Elias’s varying the temperature by trading “fours” with Baron. Elias’s chords really resonate and breath on “Blue in Green,” the ballad evolving from a challenge Miles Davis gave Evans for the 1959 Kind of Blue sessions to compose a tune using scales that were difficult to integrate. Whereas Evans played it as a dance of the spirit within a deep inner stillness – spare and brooding, but lyrical, Elias’s muscular, blues-based overhaul of the tune, shows how passionately she is involved in its inner workings. Her distinctive touch ballasted by Johnson’s firmly delineated bass and Baron’s infectious rhythmic subtlety is a telling demonstration of group thinking and feeling. On “Detour Ahead,” using space and harmonic lucidity, Elias reveals emotional depth through restraint and implication. Rarely does she use her undeniable technical facility for more than a few moments of mind-popping display. She is much more interested in using the piano as the lead voice in her group’s interplay, directing the listener’s imagination through careful articulation of light and shade. “Minha,” which Evans recorded with Johnson, receives a wholly engaged and engaging rhapsodic caress from Elias, singing in Portuguese and working faultlessly to balance pensive introspection with a romantic manner in which her honesty and sincerity is evident. “My Foolish Heart,” is a heartbreakingly beautiful reading. Johnson, playing Scott LaFaro’s bass, anchors Elias’s chords in theme statements, Baron provides impetus and rhythmic color, and Elias, working at an inspired level, makes her instrument sing, effortlessly invoking a range of emotions associated with the song. Following that feast of sensitive playing, “But Beautiful” / “Here’s That Rainy Day,” is virtually a feature for Elias’s voice, and unlike most super-hip vocalists, she sings it simply and with understanding. “I Love My Wife” and “For Nenette” emerge as wonderfully rapt soliloquies for the solo pianist that demonstrate the vast imagination and technique Elias possesses. Having listened carefully to Johnson’s aforementioned cassette, and in particular to Evans’s lines of musical thought, Elias recomposed and titled a tune “Evanesque.” Creating tension, unity, and interest through rhythmic displacement over the bar lines and within a relatively narrow range of notes, the tune is in design and general structure not too dissimilar in character to the material Evans had been developing. Bill Evans recorded Miles Davis’s “Solar” numerous times (once in Rome with Marc Johnson). Here, a long, winding introduction, impressionist tag section, and convoluted phrase lengths, show the trio to be a remarkable collaboration with a palpable delight in discovery going on all the time. An element of reflective plaintiveness is central to Elias’s original “After All.” Recalling his work with Evans, Marc Johnson shows how interactive and contrapuntal a bass line can be without totally abandoning its supportive function; Baron exhibits the poignant skill of an introspective, yet romantic minimalist. The disc ends eerily with “Introduction to ‘Here Is Something for You,'” which is really two tracks representing an early phase of this project: Evans playing one of his last pieces (Johnson’s tape) segueing into Elias completing his phrase with an abridged recap of her piano introduction and lyrics in homage to Evans, a stirring bit of fantasy that, alas, stops after a paltry two minutes and thirteen seconds. This retrospective to Bill Evans contains an avalanche of freshly-conceived thoughts on a well-chosen repertoire. Cohesive and resourceful with consistently inspired solo work, the disc finds a trio digging in deep while staying logically on its directional rails. Elias’s development of the Evans aesthetic can be readily gauged against the frame of reference provided by tunes whose connective tissue, conceptual and musical – the dialogue Bill Evans carried on with not only the past, but also the present and future – emerges with the first listening. Time and again the listener is caught up in Elias’s ever-deeper dissection of Evans’s ideas and taken by surprise by familiar material. The tracks, remarkably short compared to the long blowing sessions favored by most jazz musicians today, may seem at first like a grab bag of tunes, juxtaposed in dramatic motivic contrast, but they are, quintessentially, of a single consciousness. And it is Elias’s supreme achievement to understand and re-create, with her own insight, precisely this quality. Journalist, musician, and educator Bruce Gilman has served as music editor of Brazzil magazine, an online international publication based in Los Angeles, for more than a decade. 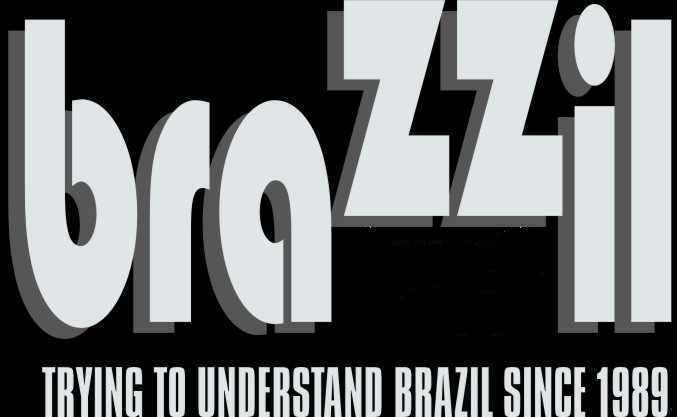 During that time he has written scores of articles on the most influential Brazilian artists and genres, program notes for festivals in the United States and abroad, numerous CD liner notes, and an essay, “The Politics of Samba,” that appeared in the Georgetown Journal. He is the recipient of three government grants that allowed him to research traditional music in China, India, and Brazil. His articles on Brazilian music have been translated and published in Dutch, German, Portuguese, Serbian, and Spanish. You can reach him through his e-mail: cuica@interworld.net.